At the start of 2017, finally time has come to share our major plans for the future of the company. 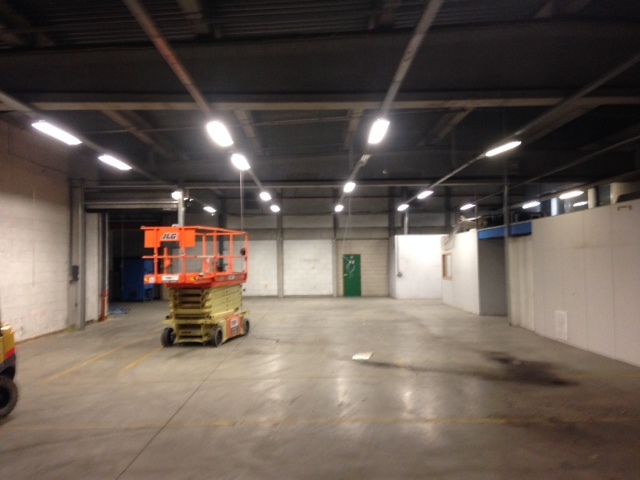 Perhaps considered as the biggest challenge so far in the history of EcoSynth, we are currently preparing the moving of the company to a new, state-of-the-art laboratory in Deinze. Thanks to continuing collaborations with our customers on various research projects, in combination with the most appreciated support from our investors, the company saw rapid growth in 2015 that continued in 2016 with employment increasing to 14 people. 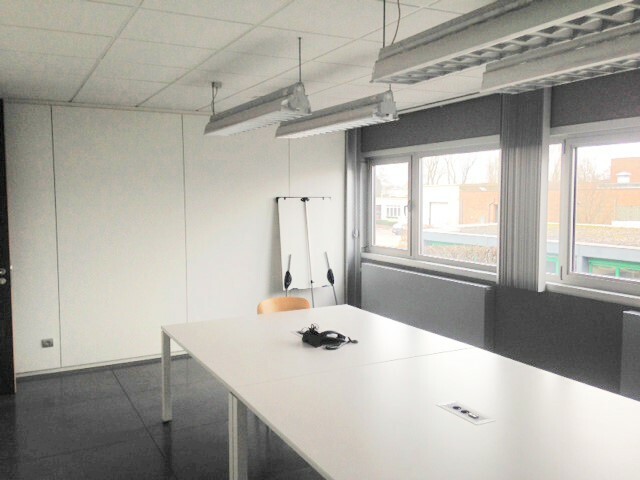 Due to space constraints, further growth at the current premises in Oostende was inhibited and plans were forged to relocate the business to a new laboratory. Thus, as from late Spring 2017, EcoSynth will be operating from Deinze in a laboratory that is currently being constructed. The step-by-step realization of this project can be followed by checking the updates appearing regularly on our web site. 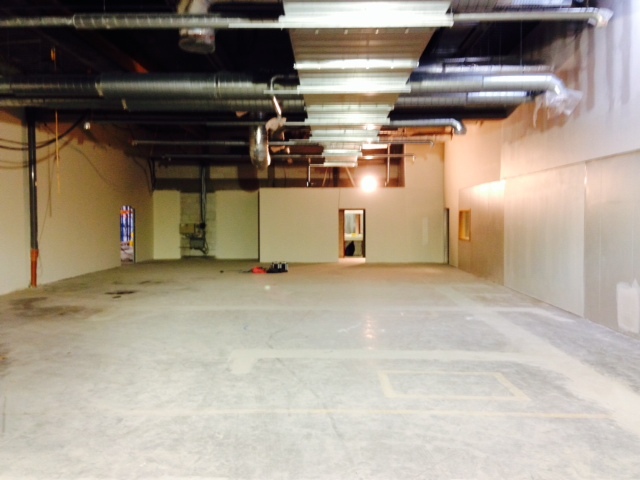 While structural works at the laboratory are ongoing and on schedule, it can be announced that offices are now fully installed and waiting to accommodate our employees. 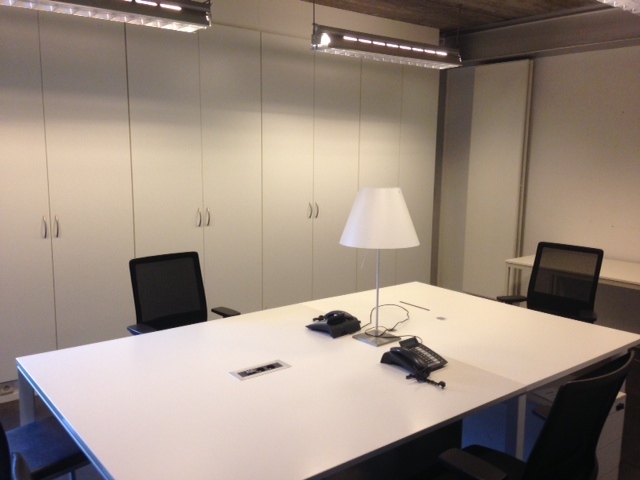 Office space is of modern, industrial design with plenty of light creating a stimulating and inviting work atmosphere. 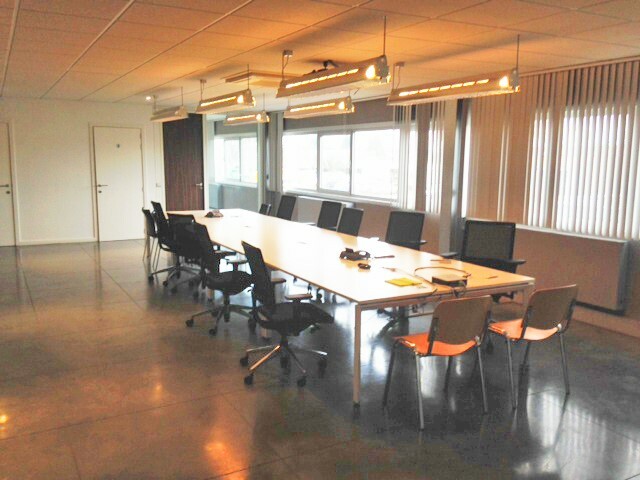 A central area at the interphase between office and lab is designated as meeting point, a place where a quick snack or a coffee can be used while sharing ideas with fellow scientists. Connection from there to the lab is made via an innovative corridor fully separating chemical activities from the desks. A major meeting room will become the epicenter of our customer relationships, a place where we can listen to challenging problems and where new strategies can be designed. The room is spacious and equipped with all necessary presentation tools. Moreover, the place is multi-purposed and may serve as conference room for larger meetings or seminaries. 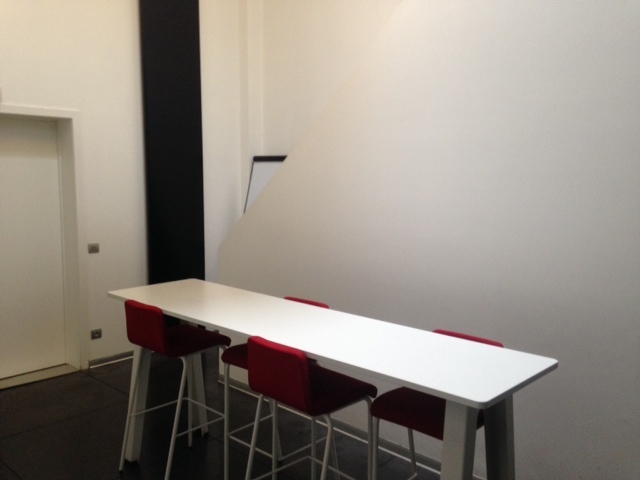 Other meeting rooms are dedicated to smaller team discussions. With construction work at cruising speed, the metamorphosis towards a fully operative, modern laboratory is ever more noticeable. 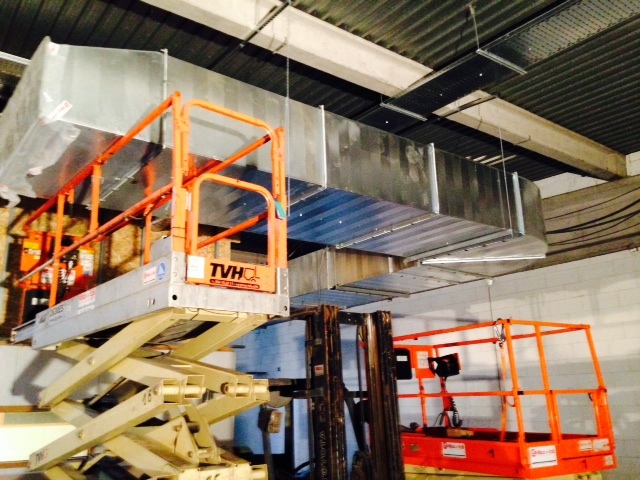 The installation of the HVAC system, the pulsing heart of the lab, is now installed and ready to be connected with the 25 intelligent fumehoods. 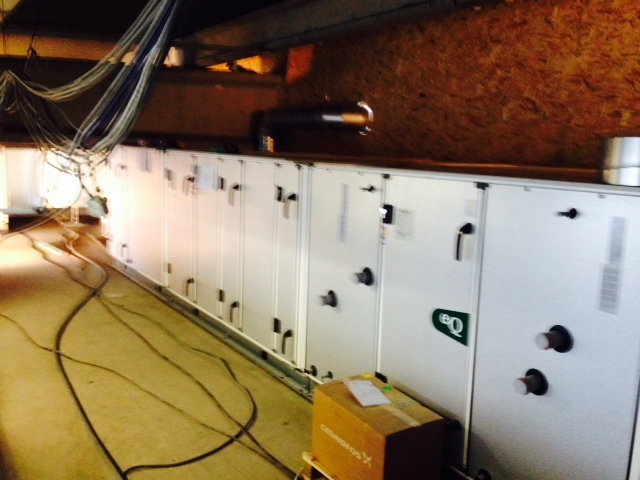 Automatic control of required air supply makes these systems particularly safe for our scientist. 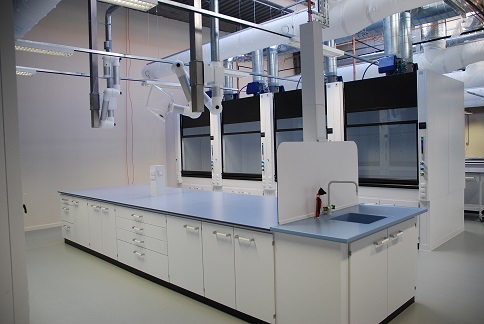 Moreover, with up to 8 lab volumes of air being regenerated per hour, the system is compliant with modern legal requirements for laboratory spaces. To reduce ecological impact, further investments were made in heat recuperation technology to recover up to 80% from evacuated air. 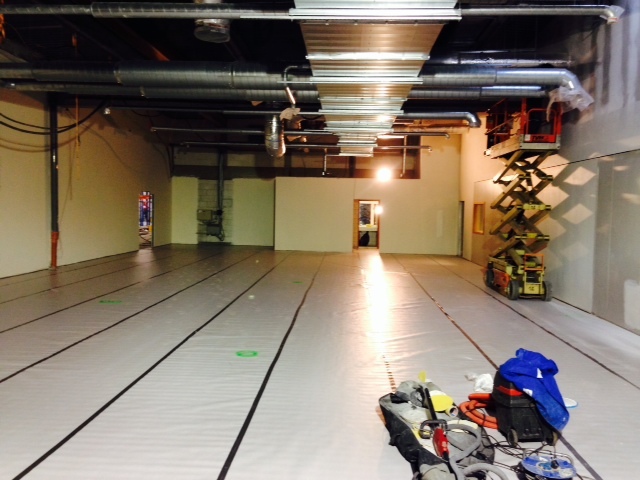 The floor consists of an epoxy coating with a neutral, soothing grey finish. Epoxy flooring is highly suitable due to its wear resistance and impermeability, while its appearance nicely matches with concrete structural elements and visible piping of the HVAC system. The industrial interior design is further complemented by the stylish and durable steel lab infrastructure, the installation of which has now been initiated. Although most of the action is occurring inside of the building, a peculiar landmark makes clear we will be heading for Deinze soon. Our logo, using an edgy font on aluminum background, is mounted on top of the building’s exterior wall and quietly awaits our arrival. 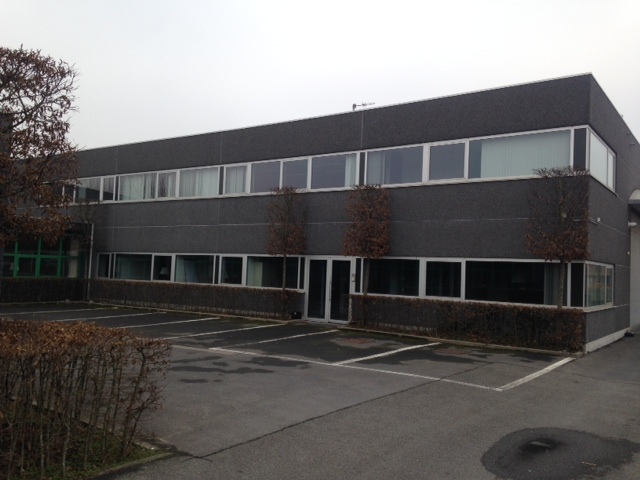 Now it is reality: we have moved in to our new laboratory in Deinze! Despite the logistic challenge of the operation, we managed to physically move lab equipment (among others delicate mass spectrometers and high-tech reactor systems) in one day. At the time of reading, all systems are fully operational again with delays in project work reduced to the absolute minimum. Obviously, such would not have worked out without detailed planning. In anticipation of the actual moving, the chemical inventory was updated and reorganized to yield a lean tool for efficient future operation with safe handling and storage as top priority. Also controlled shutdown of particular instruments was a critical phase in the preparation, but resulting downtime was used conveniently to carry out detailed inspection and status analysis, followed by essential servicing. At moving day all systems were packed and ready for shipment, the latter which was performed flawlessly by the moving company. Using a well-conceived color-coding concept, ‘delivery on the spot’ greatly simplified setup in the new environment. With the moving successfully completed, it is worth looking back on the time we spent in Oostende. It is true that the limited laboratory space inhibited further expansion and surely signs of weathering could not be denied, but undoubtedly we keep good memories to the time we spent on Plassendale Chemical Site. In this respect, we kindly thank the Proviron chemical company and its coworkers for hosting us for the last ten years.